“I did other stupid things, but when it came to looking at that eclipse, I was being very careful,” says Chou, a professor emeritus of optometry and vision science at the University of Waterloo, who’s a leading authority on eye damage from eclipse viewing. “Unfortunately, I think it is probably true that during every solar eclipse, there’s bound to be somebody who does get hurt,” says Chou. The only time it will be safe to look with the naked eye is during the brief window of so-called “totality,” when the sun is completely blocked by the moon. Totality will be visible only from a ribbon of land that stretches across the U.S.; the rest of the country will see only a partial eclipse. 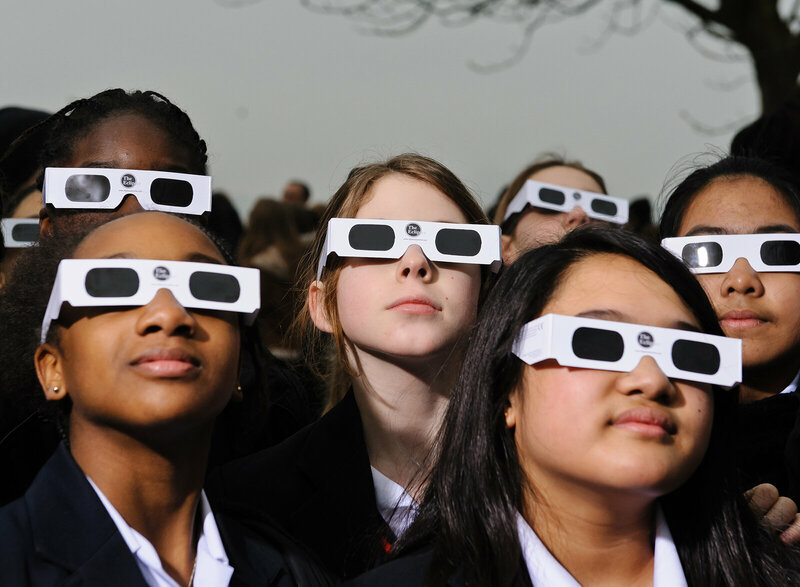 When any part of the sun is uncovered and the eclipse is only partial, viewers need eye protection — even if there’s just a tiny crescent of sun left in the sky, Chou says. Don’t think it’s safe to take quick, surreptitious glances, he warns. He says the damage isn’t immediately apparent because the light-sensitive cells of the eye will keep working for hours after the injury before finally going kaput. Typically, people go home after an eclipse thinking everything is fine, says Chou. Then they wake up the next day and can’t see. This kind of vision loss can get better over several months to a year. But about half the time, it’s permanent, says Chou. It’s impossible to say exactly how common eye injuries are among eclipse watchers. While doctors report cases in the scientific literature, no one is systematically collecting this information. 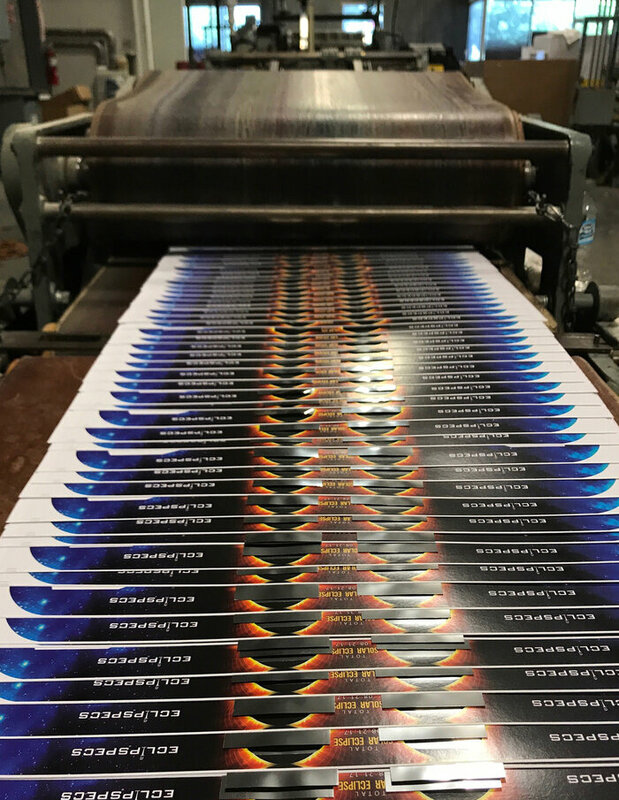 “This eclipse, our goal is to manufacture close to a hundred million glasses,” says Jason Lewin, director of marketing at American Paper Optics, which has a manufacturing plant outside of Memphis, Tenn. So far, they’ve sold about 65 million. Fienberg is also concerned about fraudulent products made to look like the ones manufactured by reputable companies. “You can’t just tell the public, look for this symbol or that symbol, because some people are printing those symbols on counterfeit products,” he says. Of course, there’s another option: looking at a partial eclipse only indirectly. That’s what Chou did when he was a kid, when he made a pinhole viewer to project an image of the eclipse onto a flat surface.